Man power not engine power as the rally driver pushes his body to the limit. 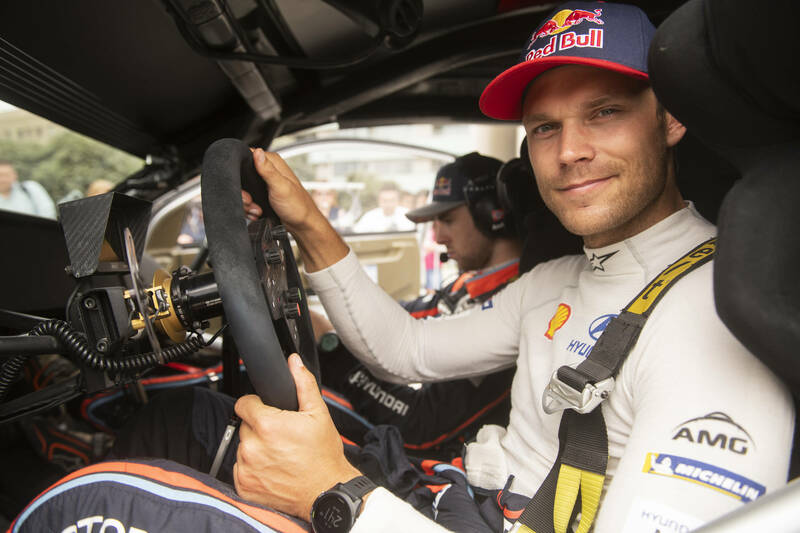 FIA World Rally Championship star Andreas Mikkelsen has revealed the punishing training regime he endured in order to compete in the Isklar Norseman Xtreme Triathlon – dubbed the world’s toughest triathlon. The Norwegian, who has three WRC wins and three overall podiums to his name, picked the gruelling event in August to see if his body and mind could cope in a different sporting arena. 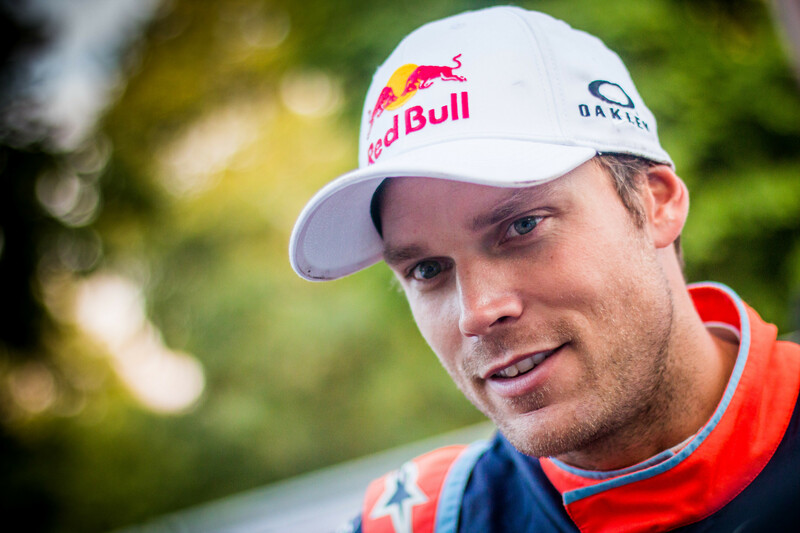 Mikkelsen has already made one successful sporting switch in his career, after he had to abandon a promising skiing career due to knee injuries en route to his success in a rally car. 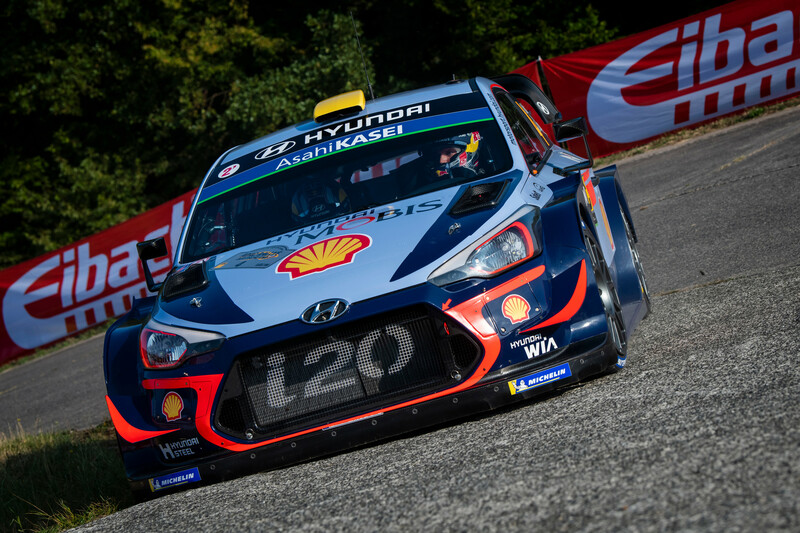 This time around the 29-year-old decided to compete on home soil in the race along with his trusty WRC co-driver and navigator Anders Jaeger – a dream they had both shared. The Isklar Norseman Xtreme Triathlon requires athletes to swim 3.8km, cycle 180km, run 42.2km and ascend more than 5235m of Norway’s exquisite landscape in a rollercoaster mix of relentless pain. How did you prepare for such a stiff test? Fitting in the really long elite triathlon training sessions was difficult because we have to use as little energy as possible, as our main focus is rallying. Rally training isn’t as extreme as Norseman, or even regular triathlon training, and usually requires hard workouts between 5-25 minutes, be it running or strength training. Triathlon training is the opposite of this. More often than not, it requires long periods of time in the saddle, pool or on your feet and there is no one temperature to worry about. Unfortunately, time was not a luxury we were afforded, as our schedule didn’t allow it. We prioritised cycling as we needed to get the mileage in on the bike. We practised the entire Norseman cycle route before the summer and I took my bike on my summer vacation in Ibiza. Along with the cycle route, we were able to squeeze in the first 25km of the run and we swam in the fjord – it was freezing in the springtime, I’d never swam in such cold water before, it was a little bit of a shock! My training for rally driving has never involved swimming. I’ve come a long way since my first ever open-water swimming lesson, which was only two months before the race! My initial thoughts was that it was much harder than I expected. I was having trouble with the breathing and swallowed a little water. We were advised to get an expert in to give us some tips, to improve our efficiency and performance in the water. Subsequently, we enlisted the help of fellow athlete Kristian Blummenfelt, bronze winner of the Triathlon World Cup, who gave us some great tips on how to use less energy in the water and swim faster, such as a steeper hand entry. Kristian was a great instructor. Anders was always faster than me during the training sessions but, on race day, I was first out of the water which surprised me! Was there a sense of nervous anticipation before? I was not feeling nervous before the race, as I knew I had done the training and was just racing to have a really good time. I am just racing Norseman for myself, whereas in rallying, if I don’t perform, then I let down a lot of people and manufacturers. Having said that, I was a little nervous about opening too hard on the swim, which I managed to do anyway! Before we jumped off the ferry, we said goodbye to each other. Everyone is dressed exactly the same and we all resemble seals in the water, so it’s impossible to see and even recognise each other during a swim, particularly at dawn. It just felt nice to get going. This year, Norseman experienced unusually warm weather. In past events, the fjord’s water temperature has been around 13 degrees, but, this year, it was 18 degrees so we knew the water was warmer. Did the cycle preparation pay off after the swim leg? During the 180km cycle I was pushing hard on the downhill, as it was so much more exciting. Nobody passed me! I conserved energy on the uphill and that’s where a few athletes passed me. Only would I later realise that I had started way too hard on the swim. Just before halfway on the cycling, my legs started to cramp. I eventually managed to overcome the cramps by eating well, drinking a lot and getting enough salt throughout the entire event. My support crew did a really great job in preparing everything for me. Were there any surprises waiting in the run leg? I had to run 25km of pretty much flat terrain, but I was struggling with a lot of lower-back pain as my body was not used to sitting in the aero position on the bike for so long. By the time I reached Zombie Hill – an 8km section of switchbacks that mark the start of the 1650m ascent to the top of Gaustatoppen – my muscles were finished. My back still ached a lot. I expected it would be an easy walk up to the top of Gaustatoppen. I have no trouble running 20/30km, however, after swimming and cycling so much, it was a very, very different experience. Walking was really tough. It was so steep, I was in so much pain, I was exhausted. My legs simply had no energy. To run up the hill was unthinkable. How did he manage to dig deep to reach the finish? I was really exhausted and never thought: ‘This is going really well!’ But I did it – I made it to the top. I finished 90th out of 238 triathletes in 14 hours and five minutes. I am really pleased with the result. Despite being very tired, I was well within the cut-off time for the black T-shirt prize, which you get for finishing on top of Gaustatoppen. Next time I will start the swim much calmer, so I have more energy towards the end. Everything up to the last 5km was great, but those final 5km were tough. Right now, I’m feeling very happy and feel like I have done my first and last Norseman, although give me a week and I might be telling you differently! Norseman has pushed me to train more for rallying, and pushed me to search for my mental and physical limits, and take our performance as a team to the next level. This entry was posted in Adventure, Featured, Global News, Interviews, Lifestyle, Motorsports, WRC by admin. Bookmark the permalink.